Thinking of buying a car? Take advantage of Memorial Day car sales! In the United States, Memorial Day is a federal holiday that honors those who have died during military service. Over the years, several businesses and retailers have commemorated the holiday by holding sales and offering big discounts. Both to military members and regular civilians. Car dealerships, in particular, tend to offer great discounts during Memorial Day Weekend. That said, Memorial Day Weekend is a great time to buy a new car. As an international living in the US, you might not have celebrated Memorial Day yet. You may not even be aware of the numerous car sales and discounts being offered nationwide. The great thing about these promotions, besides the discount, is that they usually run until the end of May. So you have time to apply and get approved for your car loan. 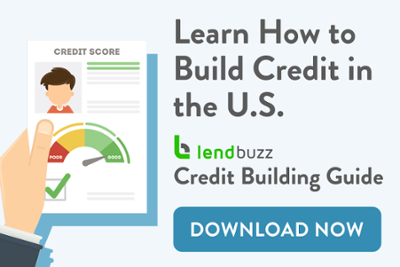 Lendbuzz has you covered! We’ve listed 5 of the best Memorial Day car sales in the United States. 3.) $1,000 off Mazda3 for residents of Northeast U.S.
Now that you know of some great discounts you can get on cars thanks to Memorial Day sales, you can think about your financing options. Need help deciding what car is best for you? Want to know the steps necessary for buying a car in the US? Check out our International’s Guide to Buying a Car. As an international student or professional, you may think purchasing a car in the United States will be difficult. But it doesn’t have to be. Besides getting a great deal during Memorial Day Weekend car sales, you can get great rates on your car loan any time of the year. With Lendbuzz, you can apply for a car loan online and get pre-approved in minutes. We specialize in helping expats who are on Visas or may not have a Social Security Number. Apply for your car loan at Lendbuzz and you’ll be closer to getting the car you need. No SSN, credit history or co-signer needed. Most of these offers are available until May 31st, 2018. However, you should check with your local dealerships to confirm dates, limitations, and the accuracy of all the offers listed above. Want to know how to prepare for a car dealership visit in the US? You’ve done your research. You came to the conclusion that owning a car will allow you to move freely around the community. And this is a necessary part of your integration into the United States. You set your budget, found a lender, and got pre-qualified for a car loan. You are now ready to find your car at a local dealership. As an international, you may have never visited a car dealership in the US. Or even visited any dealerships at all! This may be your first car purchase. You may think this process will be an intimidating one, but it doesn’t have to be. Especially if you prepare yourself by gathering all the necessary information. If you’re asking yourself how to prepare for a car dealership visit in the US, keep reading. We’ll help you navigate through your first car dealership visit in the States. Before you go to the dealership, you should be ready. Know what documents you will need to provide, what type of information will be required from you, and how to best negotiate with a salesperson. This way you will speed up the purchasing process. And you’ll be able to go home with your new set of wheels quicker. Although it varies from state to state, it is very possible that you will need a driver’s license that is valid in the US. You’ll want to (and should) take your car for a test drive at the dealership. To do that, the dealership will need to see your driver’s license. A driver’s license is also necessary in order to get insurance and register your vehicle. So if you haven’t done so already, make sure you schedule some time to take the driver’s test. Or, if possible, transfer your foreign license to an American license. In order to avoid delays in the purchasing process, it’s advisable to contact the insurance agent of your choice to add your new vehicle to your policy. This step is required in most states and you must show proof of insurance to your dealer. This is commonly known as “the insurance card”. Having this beforehand can set a smoother path at the time of sealing the deal. You will be asked for proof of income and they’ll need to see paycheck stubs or slips. This should be provided to you by your employer. While not all dealerships will ask for your last two pay stubs, bringing them can help you get a better deal. If you have more than one job, it would be helpful to bring payment stubs from all your current employers. This must be an official document with your name and your physical address that certifies that you pay for a service on a regular basis. This document could be your housing leasing contract. Or other official correspondence such as electricity, internet, phone or water bills. It’s very important that said document has your name and address. If not, it will not be recognized as valid. Additionally, if you’re able to provide a list of references, do so. It’s not required but it can give you an advantage. Your list of references should include people that can attest as to your employment or financial situation. You should visit more than one dealership and get quotes from each one. These quotes are estimated prices of all the fees and taxes to be paid in the final transaction. In order to make an informed decision, you’ll want to compare various quotes. That way you can determine which dealership offers you the best deal. You can narrow down your choices by considering which dealerships carry the vehicle you’re interested in. You can check the car models they offer by going to their website or calling the dealership directly. If you haven’t decided which car you want yet, it’s best to visit a multi-brand dealership. However, by knowing exactly what you want before you visit your dealer, you’ll be less likely to be influenced into getting something that is above your budget. If you know the specific car model you want, or at least have an idea, you can research better. It’s a good idea to visit dealerships during slow seasons or towards the end of the month. Dealers may be trying to meet monthly sales goals and are likely to offer you better deals in order to guarantee a sale. This is one of the most important steps on how to prepare for a car dealership visit in the US. The more information you have, the better your decision-making process will be. You can definitely visit a dealership before finding a lender. However, if you’ve already been pre-approved for a loan you will have a negotiation advantage. Additionally, you will less likely be swayed by a dealer who wants to change your mind. They may try to convince you on terms, model, pricing, and other factors. If you have not chosen a lender at this point, there are some things you need to consider. First, decide between leasing the car and purchasing a new or used car. Second, you need to find a lender in order to better manage your car purchase. Your loan provider should be able to accommodate your special needs as an international. Choose a lender that will work with visa holders and does not require a co-signer. Lendbuzz can help finance car loans for internationals with no social security number or credit history in the US. With this step taken care of, you’re ready to go to the dealership. Meeting with the dealer is often very overwhelming because they will throw at you offers that may seem like very tempting deals. The process can be exciting but a very confusing one. You’ll realize that dealers will try to divert your attention from the final price of the car. They will bring up things like trade-in value, monthly payments, and financing options. Those are tactics to steer the conversation away from the final purchase price. Of course, you should keep in mind a maximum monthly payment. Yet it’s best not to base your purchase on the monthly payments alone. This could lead to you paying more than you have budgeted for. Or paying more than the car is worth. Base your decision on the total price to be paid at the end of your transaction. Keep in mind fuel costs and annual maintenance. Surprisingly, this factor is often ignored and really matters after all. When signing the final documentation, the dealership’s financial manager will offer countless add-ons that might be overpriced. In fact, most of these services can be purchased from other companies. These add-ons include extended warranties, consumer reports, paint protection, among other things. If you really want a particular add-on, research it beforehand. That way you will know if the dealership is overcharging for it and if you’re better off getting it from a separate company. You could also use add-ons as a negotiation tactic. If the price your dealer is offering you seems too high, suggest they throw in some add-ons. Always remember you have the upper hand. You can always leave and choose a different dealership. And you can always get your add-ons from other companies like your lender or insurance agent. Now that you know how to prepare for a car dealership visit in the US, remember the following. If you’re not comfortable with the quote a dealer has provided you, you can walk away and visit a different dealership. Dealers may try to pressure you in order to make a sale but you have the upper hand and final say. As an expat in a new country, every dollar counts. Make sure you have all the resources to make the most informed decision possible. Preparing for a driver’s license test is an exciting time in the life of any new driver. However, becoming a licensed driver in the US is a great responsibility, and so there are tests in each state to ensure that you will be a safe addition on the road. For this reason, we have put together these helpful tips on passing the US driver’s test. In this post, we will learn about the most important skills that are tested on driver’s license exams, and how to best prepare for these tests. Drivers who are new to snow and ice covered roads may feel overwhelmed about the care and precaution that goes along with driving in this winter weather. But if you live in the northeast, snowy winter driving is another part of everyday life that you will grow accustomed to. For this reason we are discussing safe winter driving tips for internationals living and commuting in these cold conditions. As a new international driver, you will need to learn the best ways to prepare yourself so that you can travel safely and with confidence in any kind of weather. Be prepared for any winter weather situation.